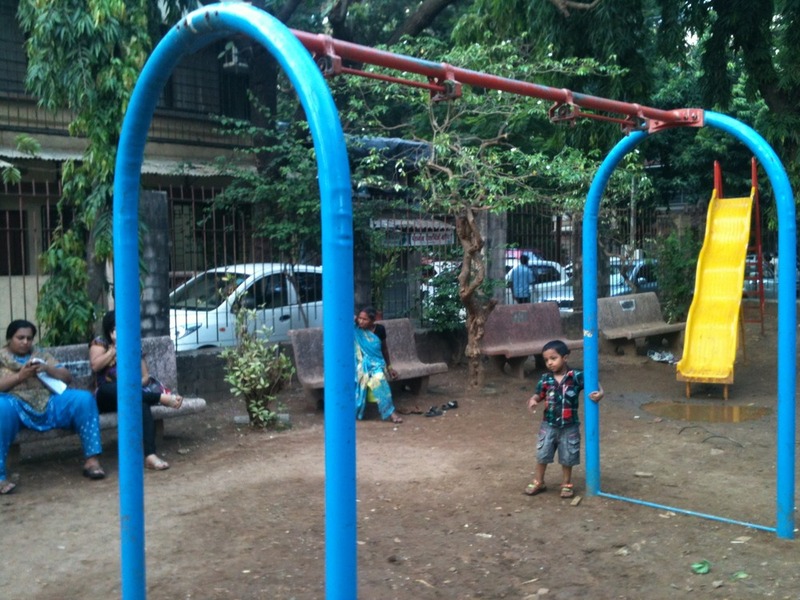 This is the 3rd of my blog series on parks and public spaces in Mumbai. 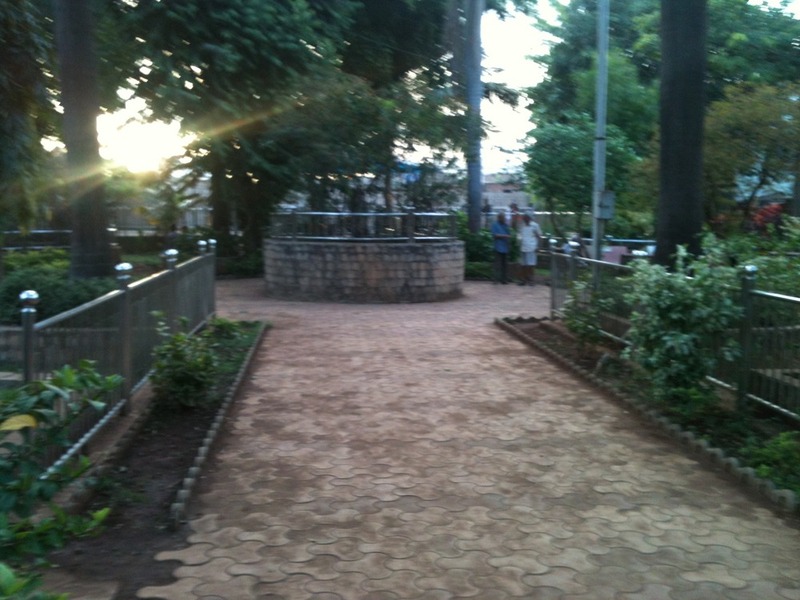 I found that H B Shivdasani Udyan is an important public space because it shows us how a garden should not be. I am tempted to skip putting the google map here because I am thinking who would want to come here after looking at the pictures. 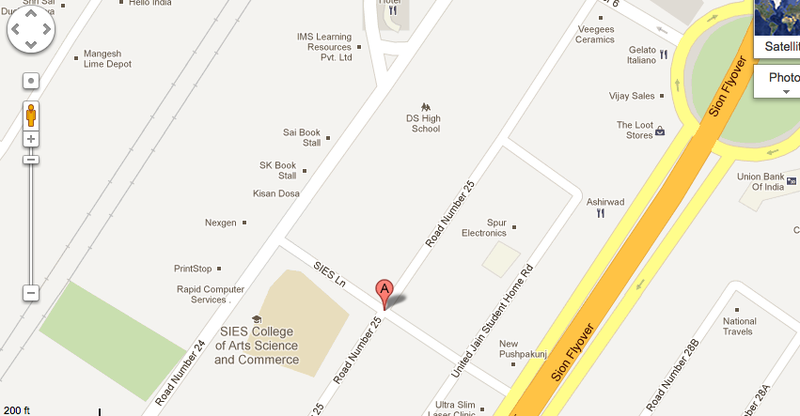 Anyhow, here it is…. 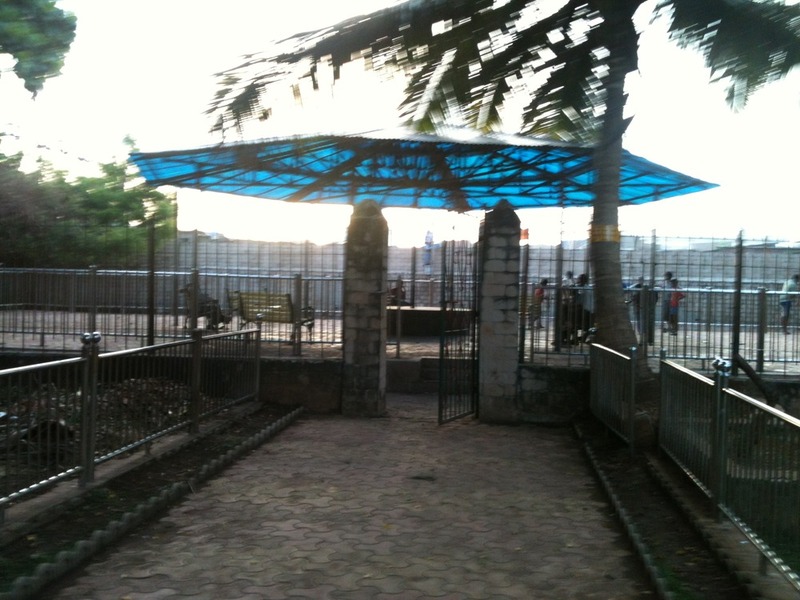 The park is in a very bad condition that doesn’t stop local residents to avail its usage. I saw pregnant women walking with determination and senior citizens all gathered in a sabha near the bushes swaying their hands and legs to shoo away the mosquitoes. Few men a bit creepy looking to my eyes, seated at the end benches in the corner. Why there, when the whole park is empty anyways. Few kids managed to find some space free of puddles and bushes to sit on the ground and engage in some activity. The grass was not mowed at all, the sporadic wild growth of grass shows that maintenance was not done in any recent past. I also didn’t see any keeper or guard to ask any questions. The play area is really sad. One would wonder where all your tax money goes. Almost all the play equipments are in a dilapidated condition. The swings are not there only the frame stands. 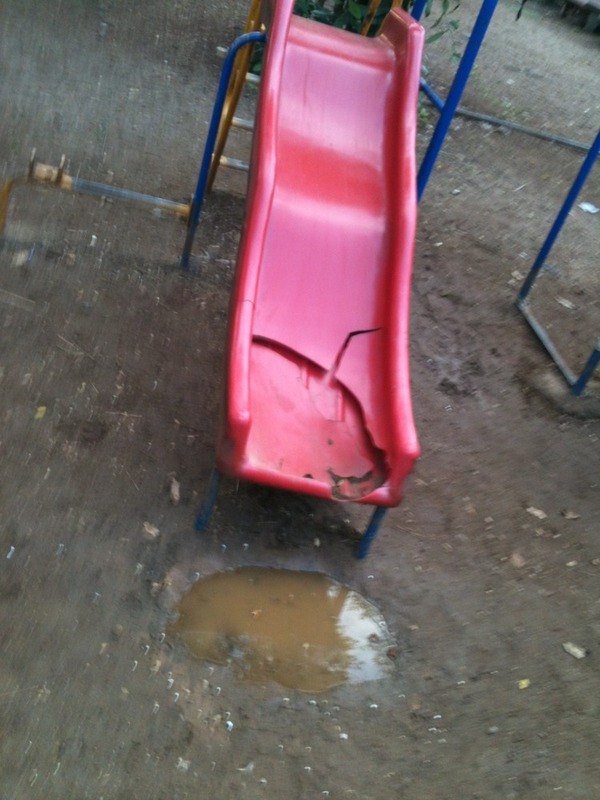 Rumbles on the slides for the toddlers are missing. So they would climb all the way and find out that there’s no where to go. But here they can practice getting down the ladder facing their backs. Slides made out of fiberboard are broken and have holes at the end. 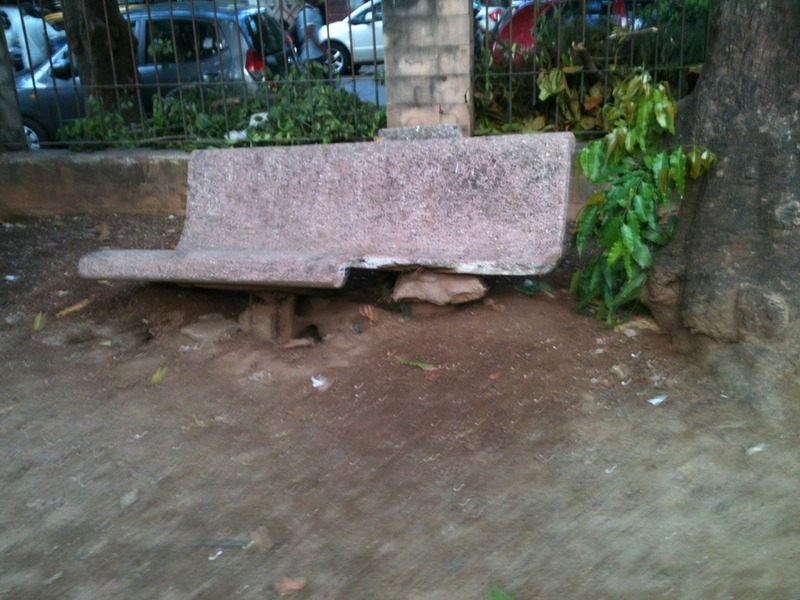 Inspite of this, few enthusiastic kids would slide down and maneuver themselves towards the end so that their bums don’t get stuck. What a stunt! On one of the slides I observed that children were climbing from the other end. Yes meaning climbing up on the slide all the way up then slide again. I wondered why? So I thought of showing these kids a little demonstration with my daughter on it. When I went behind, I stood there wondering what was wrong. Oh the ladder! its missing. It had rusted with no evidence of its existence. I saw a corroded iron rod jutting out from the ground which will keep you guessing. In a way if you see the park is well laid out. As you enter on one side there’s the play area for kids which is probably one-third of the whole area and the other one-third area I suppose is meant as green grass cover. There is a gazebo towards the other end which had seats and had open space with interlocked tiled flooring. The area seemed inviting and I thought of leaving K finally on the floor and relieving my back. Like a wound up toy she charged into the openness. As I followed her into the area, a strong stench of urine and filth sent the last strands of hope in me down the drain. I picked her in a quick sweep and made a U turn. 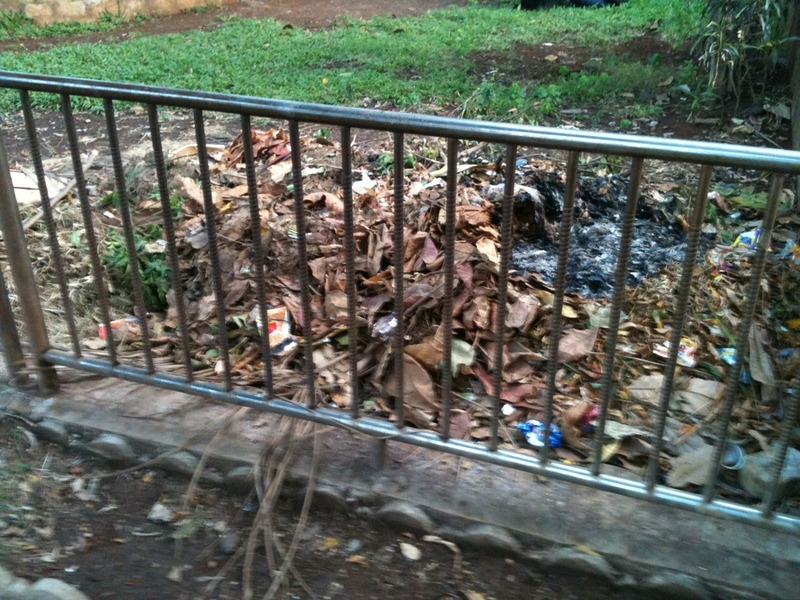 The park has good space and can be a wonderful place only if it were maintained properly. 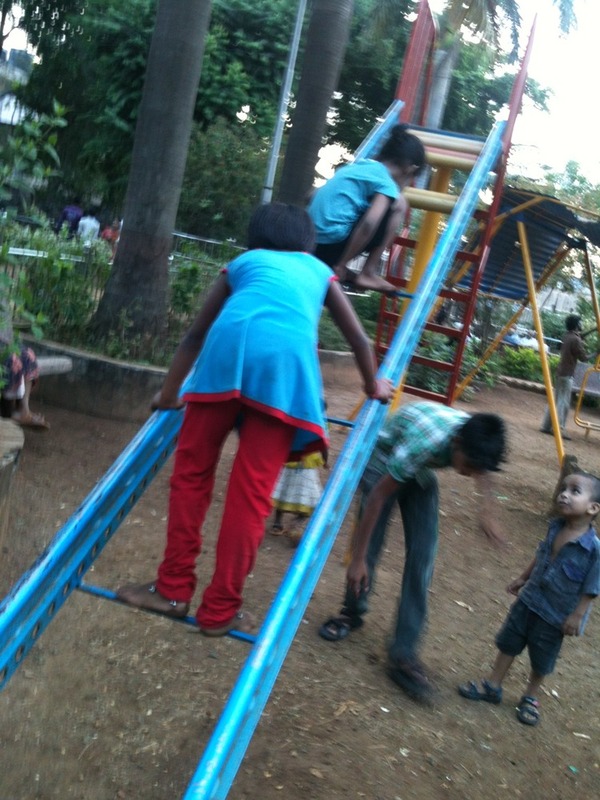 I am going to write a letter to the corporator requesting her to arrange for cleaning up the area and change the play equipments and make it more child friendly.